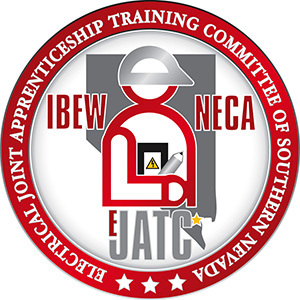 The Las Vegas Power Professionals has partnered with the Electrical JATC of Southern Nevada for more than 69 years to train the best electrical workers the industry has to offer. Today the Electrical JATC of Southern Nevada has progressed to one of the premier apprenticeship and training program of its kind, having trained over 2,000 apprentices to journeyman status through its programs. 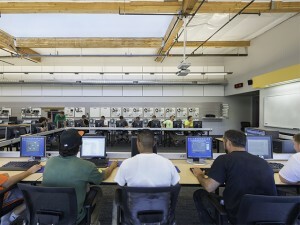 Students in the Electrical JATC of Southern Nevada training programs earn while they learn by doing apprenticeships. The Electrical JATC of Southern Nevada reaches beyond the textbook, incorporating advanced technology in all aspects of training. Blended learning enables students to continue training remotely, bridging the gap between an apprenticeship and learning in the classroom. The Electrical JATC of Southern Nevada embraces new technologies and offers ongoing technical courses using electrical training ALLIANCE’s curriculum. Since instructors and students can connect virtually, training on the go is easier than ever. Blended Learning also enhances the classroom time as Instructors can spend more time with hands-on instruction rather than going over homework. visit the Electrical JATC of Southern Nevada.